Movies are not only source of entertainment but they do leave great impact on human life. They provide us with inspiration, motivation and stress buster, they lead us exposure to new world. Indian biography movies let us know about our great leaders and kingdoms and introduce us with real them. People usually love to watch movies in cinemas because the picture quality, big screen and sound quality allure all of us. Old were the days when we used to stand in long queues to buy our movie tickets but in present days these tickets booking online store brings you each comfort which you were longing for. Online platforms like book my show, PVR Cinemas, Paytm, Ticketnew, Bookmyshow and many others offers you easy ticket bookings at low range and number of offers available on it. Instant bookings, your choice seats, online payments and easy bookings make these stores first customer choice and let them enjoy their day with their favorite movies. Visit the store and get up to Rs.200 cashback on movies. Use the given coupon code at final payment. Offer is valid for limited period. Visit the store and get movie voucher worth Rs.200 on booking tickets. Coupon code is valid on AR Rahman LIVE in Chennai. Apply the given voucher code at the landing page. Select seats available on a first come first served basis. Check out the offer page for more details. Avail up to 100% cashback on Payment Gateway charges on booking Train E-Tickets. Coupon code is also available. Limited period offer. Hurry up! Pay with Paytm wallet and avail up to Rs.200 cashback. You can avail the offer twice during the offer period. Offer is applicable in Android and iOs app version 7.0.0 and above. Cashback will be credited to your Paytm wallet within 24 hours of completing the offer. Book online and get 30% supercash on payment made through Mobikwik. Maximum supercash of Rs.200 can be availed. Supercash will be directly credited to user's Mobikwik wallet within 24 hours. Book online now and get flat 10% cashback on movies. 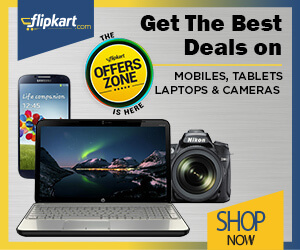 Get a discount of up to Rs.200 cashback. Apply the coupon code at the time of checkout. Cashback will be credited to Paytm wallet within 24 hours. Book Padman movie ticket online and get Rs.125 cashback on payment through Paytm. Offer is valid on a minimum transaction of Rs.300 for minimum 2 tickets. Apply the given coupon code at the time of checkout. Cashback will be credited to Paytm wallet within 24 hours. Book now and get 30% off on Early Bird Ticket. No coupon code is required to avail this offer. Purchase a ticket at just Rs.249 at the time of booking. Tickets once booked cannot be exchanged or refunded. Enjoy the deal. 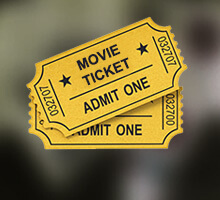 Go through the regular ticketing for selecting the movie, cinema, and show of your choice. Now buy one ticket and get the second one ticket free. Offer is applicable on ICICI Bank Debit Cards. Minimum 2 tickets need to be booked to avail this offer. Offer is valid for limited period.